I have written about other versions of doorbells over the last few years, but as yet have not found the simple yet intuitive device that might solve the demands of many. Until now, that is. The product featured in the video above, is a new product designed and built in the USA. Of simple construction and occupying a small footprint, the Skybell is designed to replace many of the common doorbells found on most of our homes. Intercom systems have been around for about 50 years now and intercoms that include a video feed have been around for about 15 years. The technology required to build a long lasting video intercom product, has been evolving and improving frequently. Skybell allows for connection to a home wifi system and can be viewed wirelessly on almost any wifi connected device. 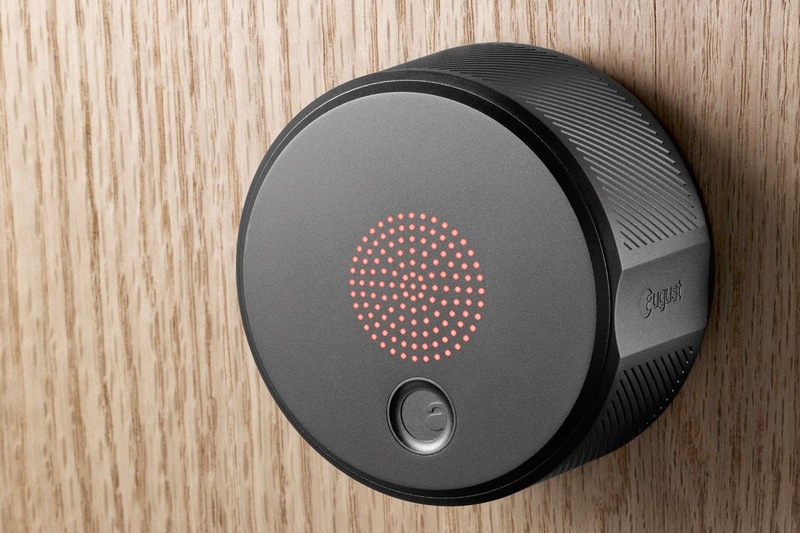 Your iPhone, your Android, your Mac, your Windows PC all can connect to this smart device, enabling your ability to see and hear the person at your door. App controlled by your smart device, you can greet the person at your door, from the comfort of your current location, without physically answering the door. What separates this from other "wireless" devices is that it actually connects to your mains. That means you never need to replace batteries. Currently in crowdfunding mode, I expect this device to take off and finally we may have the appropriate product, so many inquirers are searching for. Our new Meroni product display boards have arrived. They come in a white laminated board with each version of the handle style displayed. First picture is of the key lockable side. 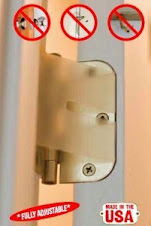 The third picture shows the Meroni Combina version Anti-Bacterial handle with a "Schlage" C keyway. These displays will be available for purchase at our booth in the upcoming SOPL Expo in May 2015 in Indianapolis Indiana. Many inquiries have come in from budding dealers wishing to include the product line in their inventories. Now you have the opportunity to purchase a display for your store, offering the benefit of a hands-on display that will make the sales process much simpler. New dealers interested in this high quality product line should contact us to reserve your display. These displays show just some of the standard colors available. there are significantly more color options that we will talk about later. We have installed and sold a large number of these fabulous products to customers across the USA and Canada. The quality of the product is exemplary and the instinctive ease of use is brilliant. 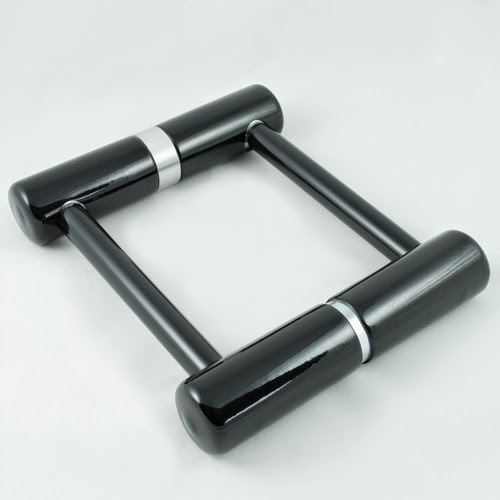 This is the perfect handle for anyone who may suffer from arthritis and related issues. 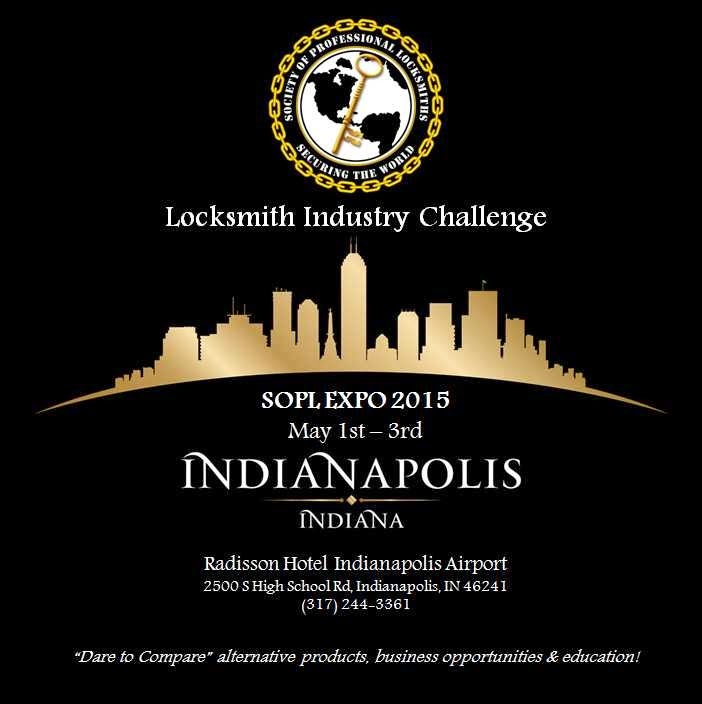 The Society Of Professional Locksmiths proudly introduce the inaugural SOPL Expo, to be held in Indianapolis Indiana, May 1-3 2015. Daring to be different, the SOPL is a modern era locksmith association that believes in training as one of the core influences in the future of the locksmith industry. The increasing technical challenges and shifts in business accumen, affect all our decisions regarding the locksmith business. Now, the opportunity to participate in a new breed of association, presents us with the challenge to learn about new and alternative products, learn new business practises, marketing skills and business opportunities..
Stop With The Deadbolts Already! Whereas the courses will be open to bonafide locksmiths, the exhibits and trade show will be open to the public. Interact with locksmiths, teachers, industry players, facilities managers and more. Check out all the details in the source below. The annual Conference and Trade Exhibit for the Master Locksmiths Association of Australasia (MLAA) was recently held at a hotel and conference facility in Twin Waters Queensland. The weekend event was held about 2 weeks ago. Here is a short time-lapse video taken by one of my colleagues as he walked the exhibit floor. This annual trade show and conference is the pinnacle event for the locksmith industry in Australasia, where products, classes and new releases are displayed to attendees. Special thanks to Trevor Miliken from Albany Lock Service in Western Australia for the video. End of May last year we wrote an article about the August Smartlock that has seen a great many pageviews. I just came across an article in The New York Times written by an author who has been using their August lock for a little while and found some difficulties. In the article the author suggests that people dont really need to invest sometimes hundreds of dollars for a battery powered door lock that has obvious shortcomings like battery life, proximity issues and no wifi connectivity. Without explaining the pro's of keyless entry systems, he has more or less tossed many of the current crop of similar gadgets on to the waste pile as not as secure or convenient as one might have expected. He did explain the obvious benefits of the product, easy to install, giving temporary key access to friends or strangers etc. 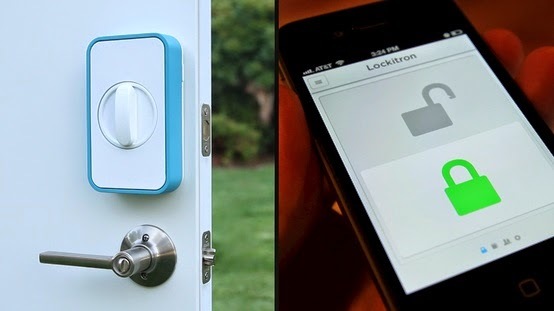 And the product, similar to the Lockitron in it's intended use, does look good. Reading through many of the comments to the article, shows that many people are looking for another kind or style of product instead. Coming Soon - Auto-Magnetic Latching Lock with wireless release option! View the New York Times article in the source below. Ebola Scare - Preventing The Spread Of This And Other Contagious Diseases. Pictured here is an electron microscope view of the Ebola Virus. The disease has been surfacing and spreading across Northern Africa for the past couple of years and has started to make it's way to Europe and America with cases being reported in Spain, Greece and Dallas Texas. A few years ago, the nasty Avian Flu from Asia commonly referred to as H1N1 was the planets last massive virus to affect numerous victims across the world, that got the attention of the media and Centers for Disease Control. There are many media sources that have been reporting on methods to minimize the spread of this fatal virus, but so far the only cure is said to be a product called Zmapp, a drug developed in the USA to combat the disease. 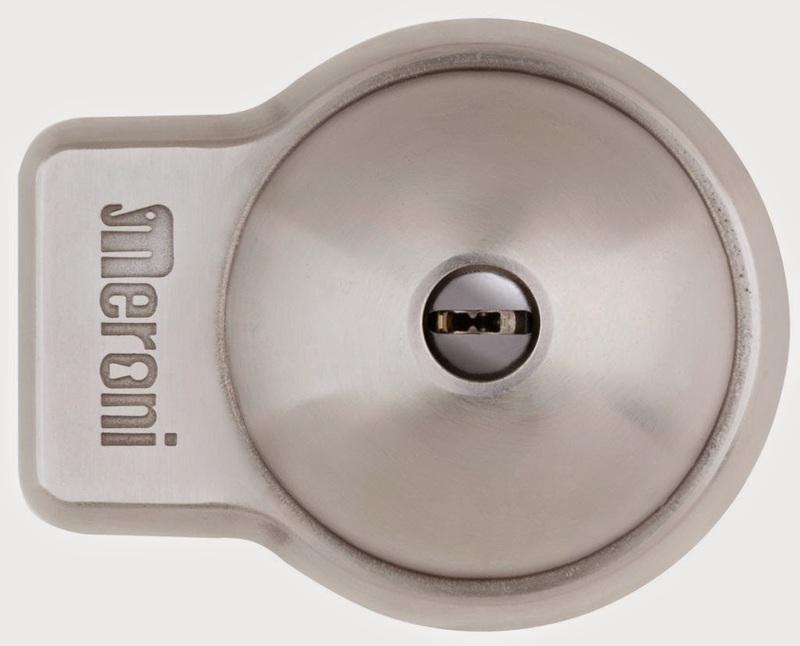 Serrature Meroni, the Italian manufacturer of leading nouveau door handles and entry products introduced their Anti-Bacterial range of door knobs, about 7 years ago. 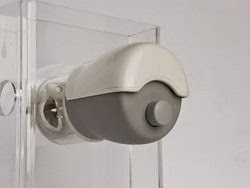 The product uses an especially formed handle that dissipates or bounces microbes and bacteria away from the door handle, preventing transferrence of these "nasties" between people who naturally would touch the entry door handle to enter or exit a dwelling. Prevention is often said to be better than cure, because it mitigates the spread of a disease before it can affect large populations. 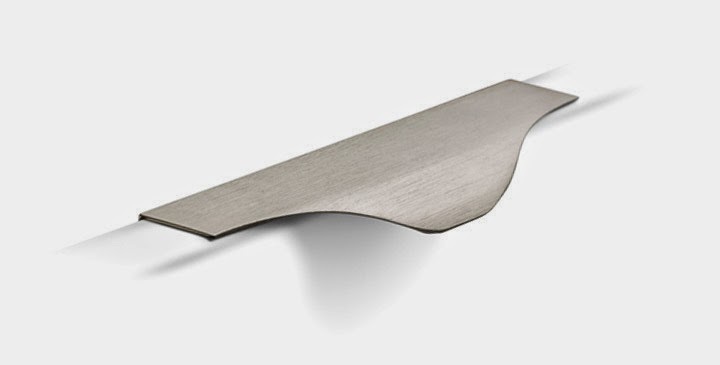 The Serrature Meroni Combina is the logical choice for any public amenity, hospital, medical office, clean room, laboratory or even educational facility, that might decide that the protection of their staff and guests is of vital importance to their business. 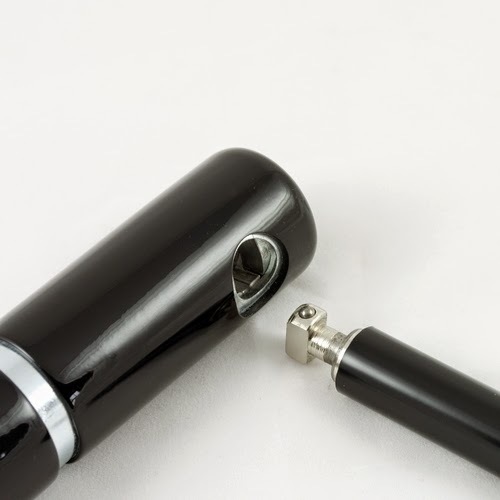 The handles are available in limited colors (which has something to do with the Anti-Bacterial properties) and enables all users, even the physically challenged, to easily operate the door handles, free from worry of contracting or spreading diseases. Serrature Meroni released their fabulous UFO+ Automotive Van and Truck lock system last year. Overwhelming demand across Europe has seen the product become a much sought for solution for securing both sliding and swinging doors on vehicles like the Mercedes Benz Sprinter, Ford Econovan, Ford Transit Connect, Citroen Berlingo and similar ranges of vans and trucks. 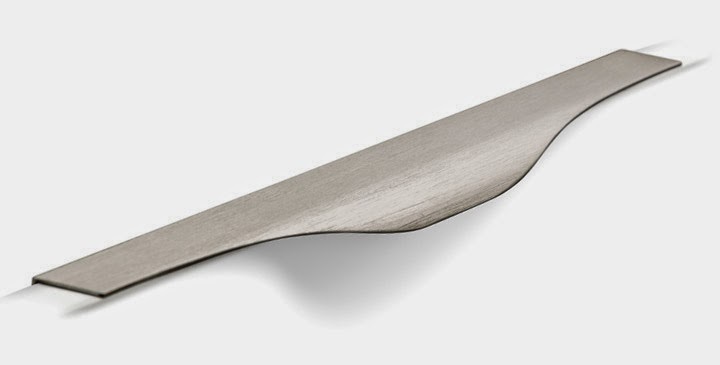 The upmarket product is made from stainless and other hardened steel components. It uses a state of the art high-security locking system (similar to Kaba Gemini). The keyhole uses a hardened steel front disc (keyway) that spins free, making the product extremely drill resistant. The product is a little difficult to install unless completed by an especially trained technician, but it offers the convenience of interior unlocking, unlike the multitude of other competing products of the same genre. See the install video after the jump. We had anticipated a summer release date for this product in the USA, but unfathomable demand from Europe, from UPS and FEDEX fleet managers, saw the USA release pushed back until now. We have 3 pairs for immediate sale. we will be displaying the product to Mercedes dealers in the Midwest first and anticipate a "buy now" option soon. Our fabulous Lockwood 7444 Keyed Pocket Door Lock is now back in stock. we have 120 units of the product in the Satin Pearl finish (Satin Nickel) and 4 units left in the Chrome Plate finish. The manufacturer recently increased the cost of this product, but at this time we will not be increasing the retail price. 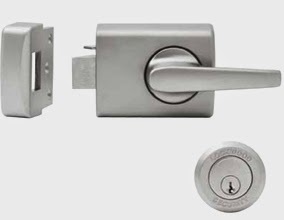 We are also stocking limited quantities of the Lockwood 7400 Privacy (bathroom) Pocket Door Lock, the Lockwood 7410 Latching Passage Pocket Door Lock, and the Lockwood 7450 Passage Pocket Door Lock. The non keyed variety are only available in the Satin Pearl (Satin Nickel) finish at this time. We will soon be creating an individual buy now button for these additional products. The keyed version is still only $120.00 plus shipping and handling. Assa Abloy is the world's largest lock manufacturing company. Last year alone it made more than $300 million, across multiple different manufacturers. There has been a continual, albeit modest push to introduce more and more electronic smartphone enabled lock systems across their diverse range of products. technology companies like Samsung, Apple and Google have been at the forefront of research and development of all things smartphone, ever since Google beat Apple to market with the first Android mobile operating system. 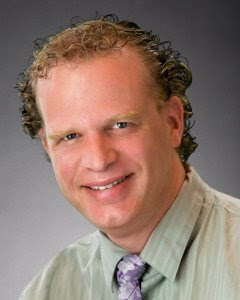 Many startups have entered the market, touting their own novel products aimed at the residential home security market. Products like Lockitron, August Lock, Yale Real Living and Schlage or Kwikset Z wave, to name but a few. The automobile industry has long used the transponder chip technology to better secure our cars and trucks, but the residential entry door market has lagged behind this disruptive technology, only due to the issue relating to electricity. You see, the reason electronic technologies work on vehicles is because vehicles already use batteries to start, run and power vehicle systems. Most doors in a dwelling are free standing and most often NOT connected to a power source. This has lead to a surge in the number of battery powered products, like the brands listed above, entering the market. The primary drawback with these products, is the need to constantly be replacing batteries on the units to maintain operability. There are many dwellings that use electric strikes and hardwired electric lock systems, but that technology, even though it has been around for over 100 years, is expensive to install and consequently maintain. The market is heating up and demanding better electronic technology for use in our homes, but there has been little productive solutions to the issue of the lack of power. Whereas the market will continue to develop and no doubt grow, I just cannot conceivably fathom the perfect or best solution to this power predicament. When the power dilemma finally gets solved, perhaps electronic and smartphone technologies will provide a benefit to us home owners who dont want to spend the required arm and leg to hard wire our doors, when a totally mechanical, environmentally friendly, green mechanical key operated hardware solution continues to provide ultimate comparative security and convenience for our homes. The very popular Lockwood 7444 Keyed Pocket Door Lock continues to beat our sales expectations. We cannot keep inventory of this fabulous in-demand product for very long. We are almost completely sold out of current inventory and not expecting replenishing supplies until the end of September. To those customers wishing for the Satin Nickel color, we appologise for the delay and expect to have new inventory before the end of the month. We still have 5 remaining in the Chrome Plate color. The modification kit for use in 1-3/4" doors is coming along but not ready for sale at this time. Thank you to the multitudes of customers for ordering the Keyed Pocket Door Lock. It is with your continued interest that we continue to source unique security products. 3D printing is all the rage in this age of rapidly advancing technology. So much so, that home made items are showing up quite regularly nowadays. The above video shows a European person bumping open a typical cylinder found in many residential and commercial settings in Europe. But significantly, he uses a bump key made on a 3D printer. This is especially worrying, I suggest because the bump key furore was hyped significantly through the media in the last few years. There are hundreds of videos online across the web, showing kids and adults of all ages making and bumping many brands of locks including some brands that were once though to be pick resistant/high security. The market can rest easy, knowing that our Bilock Extreme Security cylinders are well known worldwide as the original 100% bump proof and virtually pick proof lock and key pin tumbler system. Anyone can purchase a 3D printer today, since models are made that are more easily affordable than the industrial printers that surfaced 10 years ago. For further information on our Bilock Extreme Security products, contact us for your demonstration. 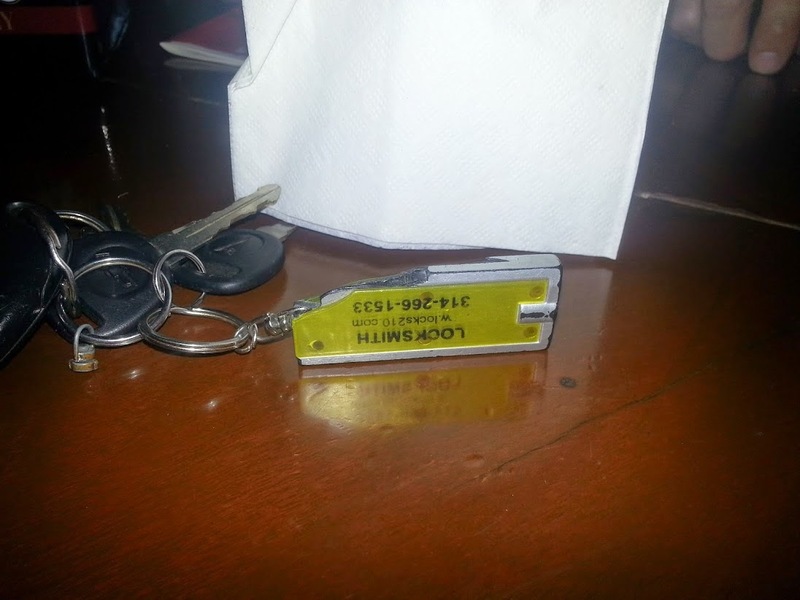 I bumped into a friend the other day who has my flashlight keyring attached to his keys. The strength and longevity of my "business card" continues to provide light to the user and advertising for me. You can see he ground the edges of the housing away, yet the light still works perfectly. On last Monday, we installed new Meroni Nova locks for a customer who was unable to replace his Peachtree Multi-Point lock system on his patio doors. 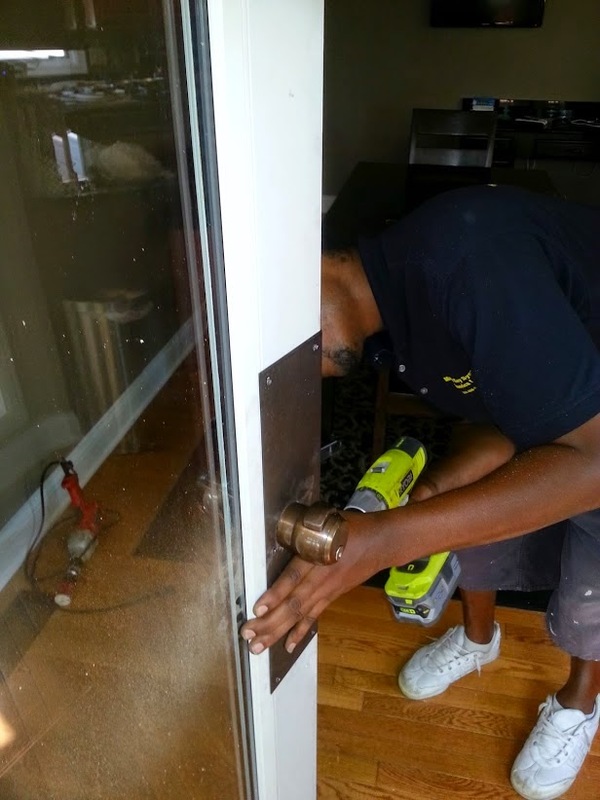 The installation process took about 5 hours to complete and involved removing the old Peachtree mechanism that was built into the body of the door. We supplied Rockwell push plates to cover the large holes left by the old mechanism and installed the new locks to the plates. The first picture is the completed look. To enhance the ambience of the install, we installed a dummy set to the fixed leaf and used the customer sourced strike plates to improve the look. This second picture shows the dummy installed. The customer was able to source replacement plates for his old Peachtree Lock, which we used to cover the holes left by the old mechanism. We installed the Meroni Nova within the replacement faceplate. The completed look from inside shows the Rockwell push plates covering the old holes, with the Meroni locks fitted symmetrical. 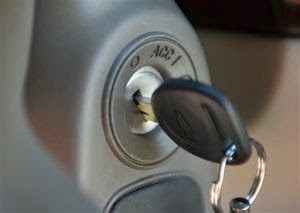 The locking knob installed to the operating leaf. Installing the Meroni mechanism on the operating leaf. All care is taken to ensure precision installation. proper installation is vital to enhancing the required ambience of the fitting. Finishing work is important. You can see the size of the holes we were required to cover on the fixed leaf (under the drill). The final result, enabled a simple to operate lock mechanism that suits the color scheme of the interior design of the room. 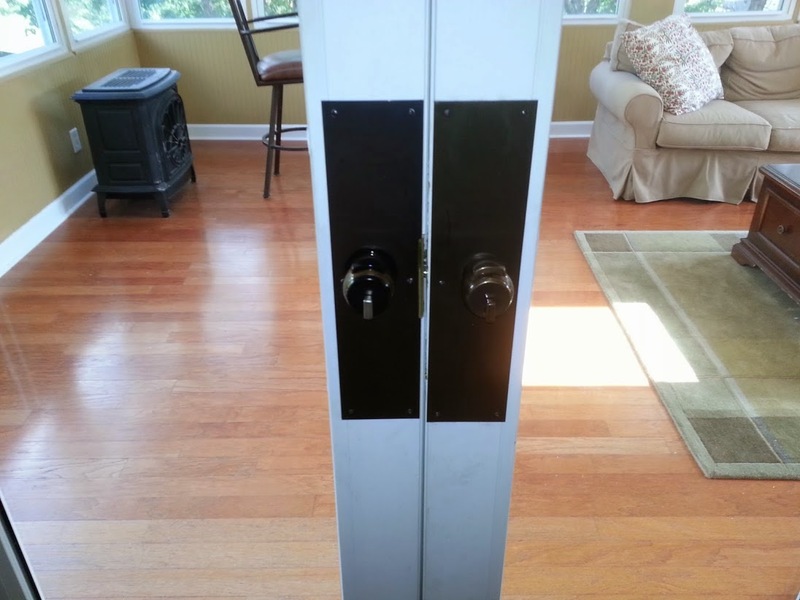 This is the second Peachtree Multi-Point lock system we have replaced with the fabulous Meroni Nova hardware. Our Lockwood 7444 keyed Pocket Door Lock is in high demand. We are almost sold out of our current inventory. This phenomenal product continues to break all sales records and is keeping us very busy indeed. 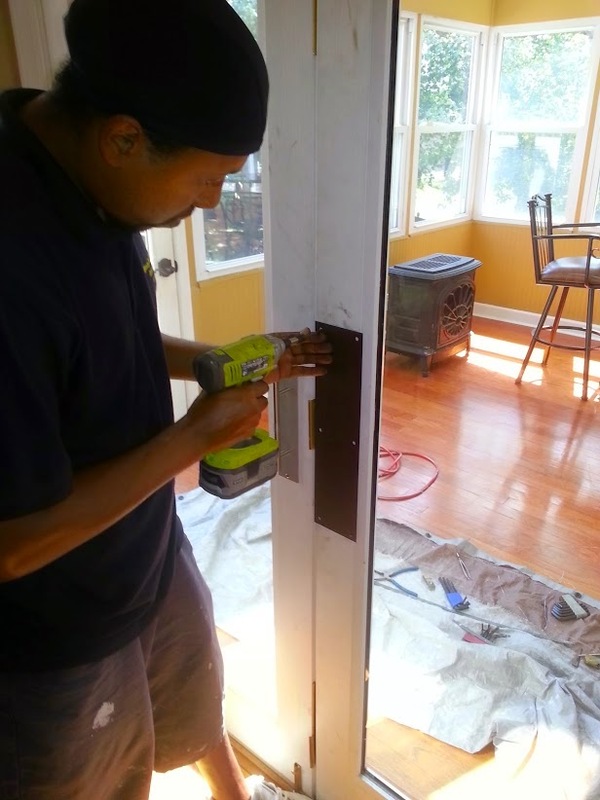 The simple installation is proving a hit with builders and homeowners alike. 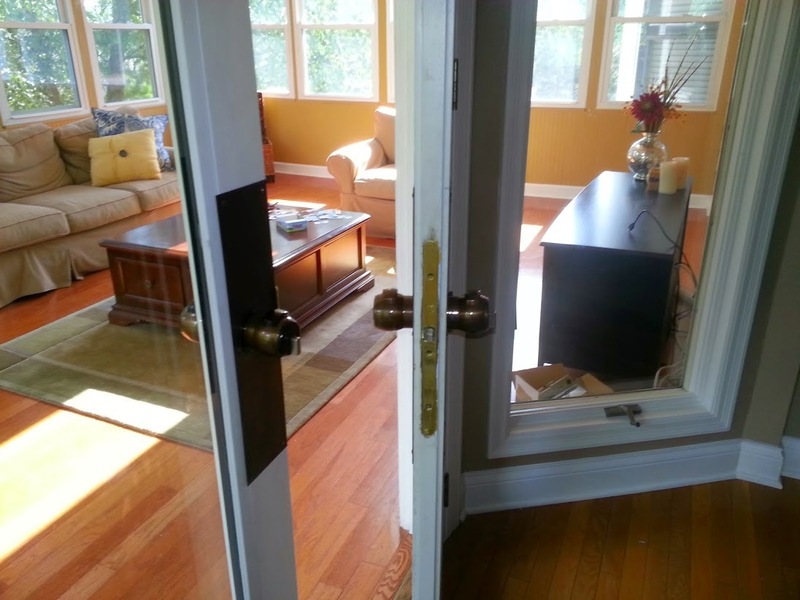 It is designed to fit in a 2-1/8" cross bore, so modifying an existing door is simple. The holes in the door edge are 1" diameter and it is necessary to drill the extra hole below the bolt for the pull handle/plunger. The factory model is designed for 1-3/8" thick doors. If you intend to install to a thicker door (like a 1-3/4" thick door), currently you are required to countersink the cross bore by at least 1/8" on each side. We are working on a modification kit that will allow installation to a thicker door, but it is a time consuming process to get perfect. We will not release the kit until it is perfect. As of this writing we have 6 units in SPDP (Satin Nickel) and 6 units in CPDP (polished Chrome), with new inventory expected in about 4 weeks. Thank you for continuing to purchase this wonderful product. Kickstarter is well known for being the breeding ground of new ideas. A service where anyone can source funding for almost any kind of project. Access to capital funding is the most difficult and often stressful issue hampering inventors from proceeding with their ideas. Sure there are wealthy entrepreneurs, who do support ideas from time to time, usually at significant cost to the inventors. Until crowd-sourcing became the new accepted method for sourcing capital, funding took the form of painful, often laborious effort and mountains of paperwork required to prepare and very often resulted in a rejection. The Noke Bluetooth Padlock is an example of yet another inspirational idea designed to make use of smartphone technology in attempt to make life easier. Simply pair the padlock with your Bluetooth smartphone for easy and controllable access. This is a system designed to do away with mechanical keys (that I believe is a fundamental mistake). Removing a mechanical, physical key from a padlock, may seem like a logical step in increasing access control capabilities, but what happens when the internal battery runs down? How do you get your padlock open? Any electronic product, especially wireless products are open to hacking far more easily than a suitably protected high-security restricted mechanical physical key. Mechanical, physical keys have been used for centuries because they provide quality security protection that is virtually cost-less to run. A green minded consumer will recognize that the benefits of a non-powered product. The life expectancy of a mechanical product is usually significantly longer than almost any wireless powered product available today. Will this product take off? Probably, but consumers who desire proper security that lasts, is generally maintenance free and does not require an engineering or electronics degree to understand, will continue to protect the marketplace for many years to come, I suspect. Here is an interesting and extremely inexpensive portable alarm for consumers intent on personal security they can take with them. 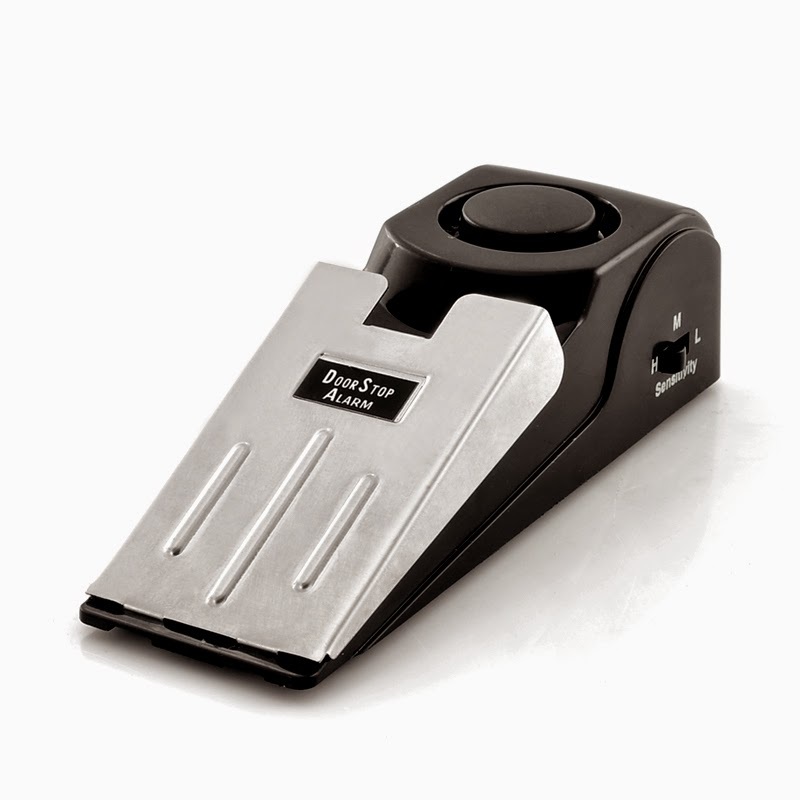 A 120db siren that runs on a replaceable 9V battery, the wedge is crafted from stainless steel and polyethylene. Suitable for travelers or anyone wanting that little extra piece of security, it is wedge shaped with non-slip pads, designed to fit under a door. When activated, anyone moving the door will depress the stainless steel wedge and trigger the piercing 120db siren. Yes this is a novelty product that can enhance your security. We expect to offer these in the near future, in answer to demand from discerning customers. \We anticipate it will cost less than $15.00. Vier is a new product that is currently seeking funding on Kickstarter. An unusual looking modified design of the traditional D lock, this idea compacts the product into an easily transportable size providing lightweight yet practical form and function for the bicycling enthusiast. 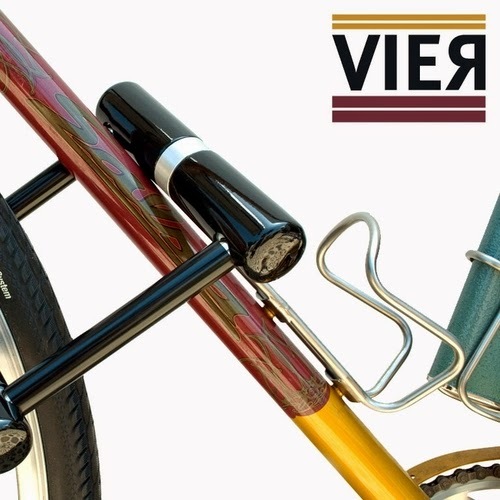 As in the case of many D locks on the market, the Vier uses secure, high quality steel in it's construction. 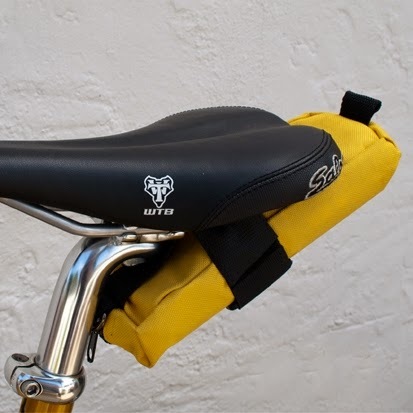 A functional and compact bag that clips easily under the seat for intelligent stowage is an important feature and factor in bicycle locks. Clipping to the frame and the wheel, while allowing to also clip to a pole or fence is important. You can see in the exploded view, that the designer has made an uncomplicated lock system designed to last. As is typical of many modern locks of similar ilk, the designers have chosen to use a version of the Abloy Disklock Pro springless cylinder locking system. This will enable a higher security factor and also a very low maintenance product. Check out their Kickstarter campaign and video in the sources below. Our Lockwood 7444's are flying out the door. One customer just picked up all my Chrome Plated ones. It is clear to all concerned by now, that the GM Ignition Switch debacle is one of the most sensational news stories of the year. Locksmiths who work on automobiles have known of these issues for many years and have informed powers that be, in the recent past. The reports fell on deaf ears, as usual and only since the reports of deaths have authorities bothered to press the issues with manufacturers. I do find it interesting that it seems the automobile industry appears to have come full circle, with regard to ignition systems. When the first automobiles were rolling off the production lines, in the early 20th century, all vehicles had the ignition lock switch mounted to the dash, usually toward the center of the instrument panel. This was significantly easier for people to control and away from the possibility of being knocked by a knee or leg. Many ignition tumbler switches were pin tumbler operating systems and not wafer/disc tumblers. Properties inside the cylinder prevented the accidental knocking and turning off the keyswitch. 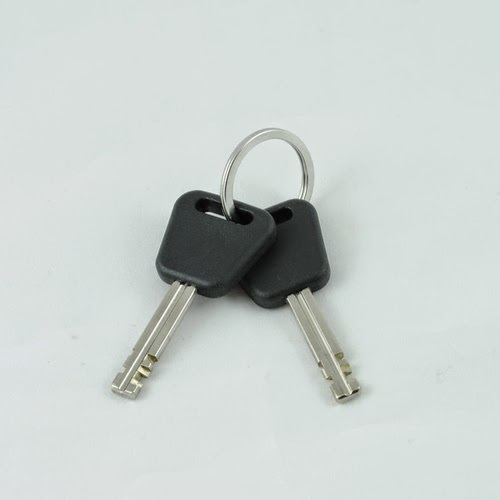 As promised our new stock of pocket door keyed locks has arrived. We expect this stock to move out quickly, given the number of inquiries we have received. Click on the first image above left to purchase. 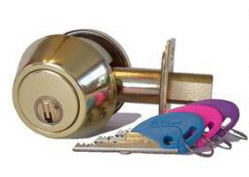 When we began selling keyed pocket door locks here in the USA, the first model we brought in was the Cowdroy P697. The crescent shaped lock product sold exceptionally well but we decided that we would discontinue selling the line because it does not meet life safety codes due to being double cylinder (key operated inside and out). The beauty of the product was that it was straightforward to modify an existing square shaped common pocket door privacy or passage lock to take the Cowdroy. We have just discovered one last unit in inventory. It is polished brass in color, display packed and comes with 2 keys. If color is an issue for you and wish to purchase this last unit, please send us an email or contact us for delivery. I was born in Sacramento, California but grew up in Australia. I did travel after my locksmith apprenticeship when I was 22 and decided to stay in Sacramento for about a year and a half. While there I was lucky enough to work for 3 different locksmith companies. Locksmiths were quite a different breed back then and this video news report is sad to see that the scammers have evolved there too. Look, I realize that when you are locked out, you will often call the first company you can find and rarely quibble over the price. I am quite surprised that locksmiths in Sacramento do not value their craft more than $50-$75 for an average opening when you consider the higher cost of living there than in other towns across America. Gasoline alone is rediculously expensive at $3.65 a gallon here in the St Louis region and the average attendance here is $65-$95 during the day for the same service. There are the same scammers here in St Louis that ply similar nefarious tactics to attract customers. The report refuses to acknowledge in any way that the search engine companies are very responsible for allowing advertising of such a deceiving nature on their networks. It is a loophole that experienced computer hackers can manipulate to the advantage of fraudsters who seal up the lion-share of online advertising everywhere you look. 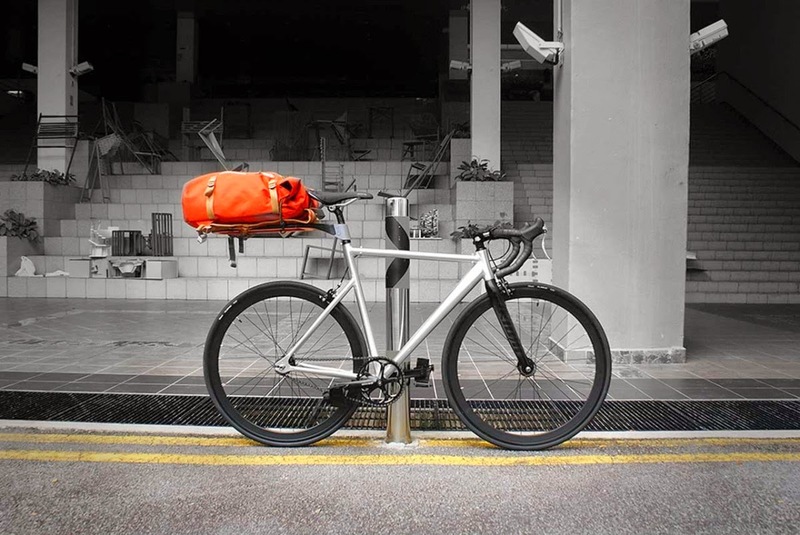 Singapore based designer Seth Chiam has created his concept bicycle rack/lock conversion system to be minimalist in design yet versatile in function. 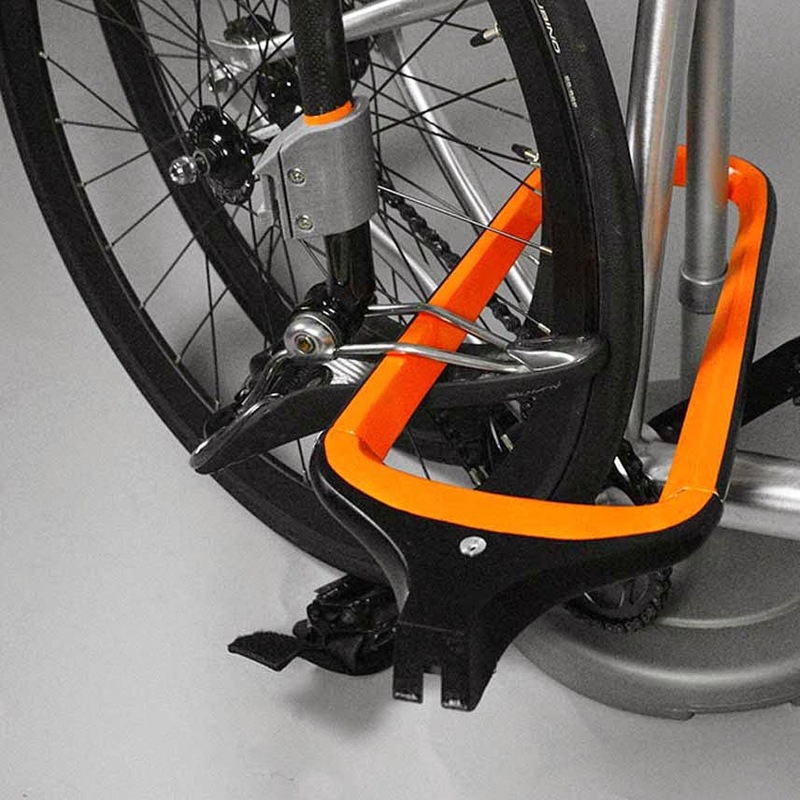 This intelligent concept allows the user to cart their possessions on the rack and when required, use the same rack to lock the bicycle to a post to prevent theft. 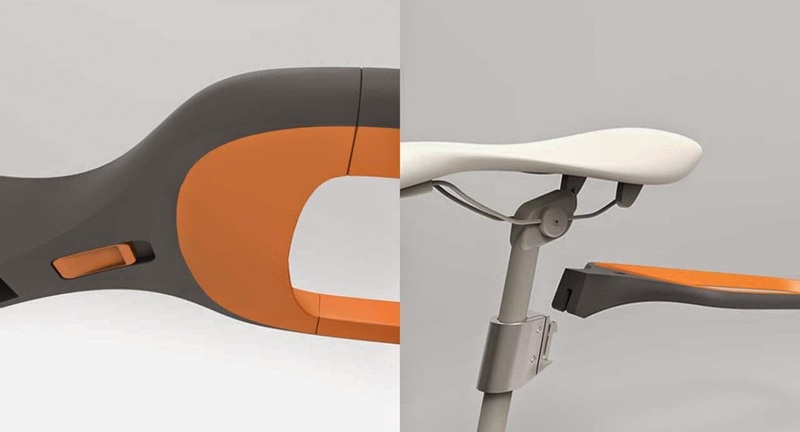 The design includes a traditional D lock, that many who ride bicycles are very familiar with and a clamp that attaches to the bicycle seat post, so it is out of the way when you are pedaling along. You can see the release mechanism for attaching/detaching the product from the clip. It is key operated meaning no more bulky padlocks swinging freely. The product is designed to carry a proportional amount of weight as you can see in the loaded bag in this picture. Stylish yet functional and lightweight, I think this young man has hit on something that bicycle enthusiasts everywhere will pounce on, when it becomes available. Viefe Handles are a Spanish Company specializing in unique designs of handles for kitchen and bathrooms. Pictured here are their new Noma range of minimalist handle designs that might fit with discerning customers intent on a minimalist approach to design and use. Available in many colors, this unique product is nouveau, yet stylish, simple to operate, even simpler to install and made from high quality materials. Different sizes fit different customers requirements. Viefe also manufacture many other handle designs that are widely sought after by residents across the European continent. Will we see these designs in North America? After Almost 2 Years Of Patiently Waiting - It Is Here Finally! Well, after 2 years of patiently receiving updates from the company, of unexpected delays, of production issues, of inferior components, of re-coding of software, our Crowd-Funded Lockitron product has finally arrived. We received a 3-pack, in Bondi Blue, Obsidian Black and Pearl White. We will attempt to video the unboxing of the product in a later post and hopefully capture the installation to an apartment door on video soon too. We already have 2 units sold to customers (who we are please have waited patiently for almost 2 years for this product, that they will be able to use with their iPhones) and hopefully (if the product lives up to the hype) receive significant more orders in future. Our Lockwood 7444 Keyed Pocket Door Lock is still beating our anticipated sales numbers in ever increasing amounts. The last batch we received May 19, 2014 we sold out in 3 weeks. The next batch we will receive ~ July 1, 2014 and this will include a limited number of Privacy and Passage versions too. Unfortunately, we do not accept pre-orders for this very popular product, because it sells out so rapidly. Not because we cannot, but because the overwhelming popularity caused us to rethink our marketing strategy. We will receive an increased quantity of the Satin Pearl (Nickel) color, together with a small amount of the Chrome Plate in the 7444 version (keyed). We are also expecting a number of the Passage version (7450) in Satin Pearl (Nickel) and also about 4 of the Privacy version (7400) in Satin Pearl (Nickel) also. This directly means you can have identical hardware for double sliding pocket doors, maximizing security and ambience simultaneously. The Satin Pearl (Nickel) is the most sought after color and subsequently the most difficult to keep in stock. This increased supply in our July delivery, we expect to be able to keep up with demand a little longer. We will only bring the Chrome Plate color in the keyed version (7444). Our modification kit to allow easy installation to a 1-3/4" thick door is still in the process of production and testing. Assa-Abloy Lockwood have confirmed their intention to NOT release a factory version for bigger doors. We thank you for your understanding and apologize for the delay. The Pont Des Arts Bridge in Paris was closed earlier this month due to an unusual problem. You may have heard or seen the news stories about this particular bridge that has attracted lovers for a great many years, where they seal their love and lock it to the fence with a padlock and toss the keys into the Senne. The bridge fence collapsed under the sheer weight of too many padlocks clipped to the fence. Luckily no one was injured and contrary to many calls to remove the eyesore, authorities have chosen to maintain the fence and attraction in the "City Of Love". There are many similar bridges that can be found all over the world, but apparently the one in the above video is the first. For a list of other bridges of similarity see Wikipedia . Find a locations list for the USA After the jump. Dream, The Impossible Dream....Power To Burn. Yeti Saves The Day. The Yeti 1250 Solar Powered Generator is not directly a security product or equivalent item that i usually write about in this blog. However, being a professional locksmith tradesperson, with a mobile service vehicle and an array of machines and power tools that I require to use onsite, I need to run that equipment in my truck and sometimes away from the truck when there are no other power sources available. I currently use a wired-in inverter to power my machines in the vehicle and this usually requires me to run the motor to keep the secondary battery I use charging. I have been searching for a cost effective alternative to installing a professional truck generator that feeds directly from the gas tank (~$7,000 Installed) and this may well fit the bill. It's not that i run a lot of machinery constantly, but my work truck gets pretty warm inside during summer and i would like to be able to have a refrigerator and air conditioning unit/fan that i could run separately from the vehicles power system and also enjoy the ability to operate power tools without having to run long extension cords. As you can see in the promotional video above, there are multiple uses for this fantastic device. I think I have found the perfect item for my holiday wish list. Arguably, this product could be an assist to any site that might want to run CCTV cameras remotely, like in a field (nowhere near available power) or to provide the power for a remote gate or door without digging trenches for running cables to grid power. So, perhaps you could use it as a backup power supply for security products? Kickstarter is one of those crowd-sourcing companies that matches inventors/producers with investors. Not just the VC investors who fund tech start-ups like Facebook, Twitter etc, but everyday investors like you and me. People who look to contribute to a small start-up's endeavor to produce a useful product or service that will provide us with some real benefits. One new product I found recently is currently in it's Kickstarter foundation mode, called the Beach Vault. As shown in the above marketing video, it is a simple yet intelligent solution to keeping your belongings secure while you enjoy fun on the beach. I personally think they should add a key or combination lock function to it, but that's just me. This is the Lockwood 002 L deadlatch. 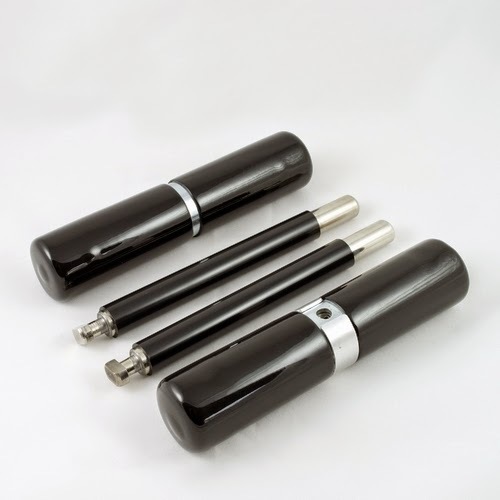 It is a very sought for product by users demanding top quality physical security protection on entry doors. It is especially common for commercial doors like fire escapes because it is held to the door with 4-6 steel screws and the strike plate is also very secure. 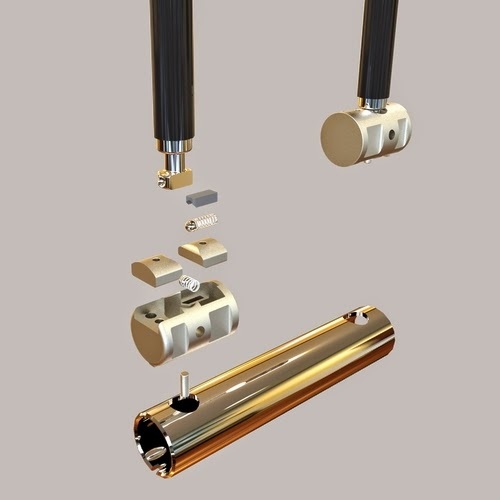 Options include steel frame strike plates, open in strike plates, open out strike plates, mechanical digital entry interfaces, medium/high security key cylinders. The product is available in satin nickel, polished brass, brown and polished chrome. Satin Nickel is the most commonly purchased color finish. the large lever handle makes use by physically challenged people significantly easier and complies with all life safety/building codes for egress. 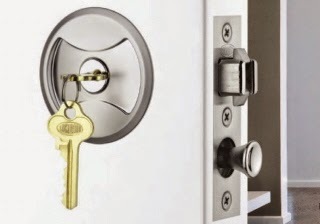 Simple/straightforward to install, this version of the perennially popular Lockwood Rim Deadlock range continues to lead the world in high quality mechanical and physical protection products. Priced at the upper end of similar competing brands, the Lockwood 002L is not cheap because it is constructed from high-grade aluminum, steel and hardened steel properties. We currently have a few units available for purchase. We are installing these to rear access doors for shopkeepers intent on beefing up the security and ease of use of their rear entry/exit. Contact us for your demonstration. Yet another sales record broken with this fabulous product. Demand is so strong for the Lockwood 7444 keyed Pocket Door Lock, we barely receive inventory before it goes out the door. The last batch we received May 2nd, is almost sold out completely. We have 2 left in Satin Pearl (satin nickel) and 5 left in Polished Chrome. 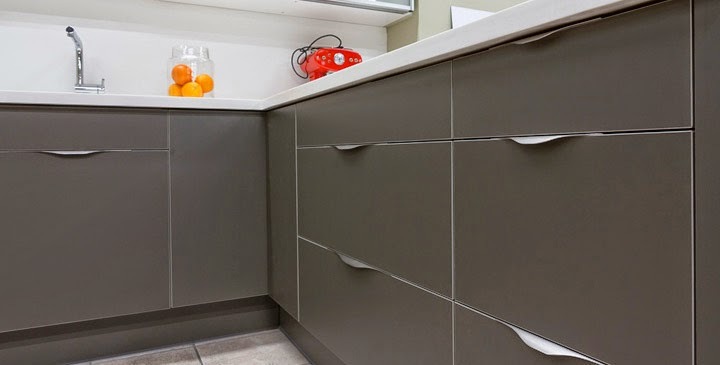 Lockwood is a well known Australian manufacturer of high quality door hardware products, selected by commercial, residential and industrial customers due to their reliability, superior product quality and easy to use and operate functions. There are few choices in the cavity/pocket door lock arena that offer similar quality and effective security and convenience like this product. We also will be receiving the passage, privacy and passage latching versions too. 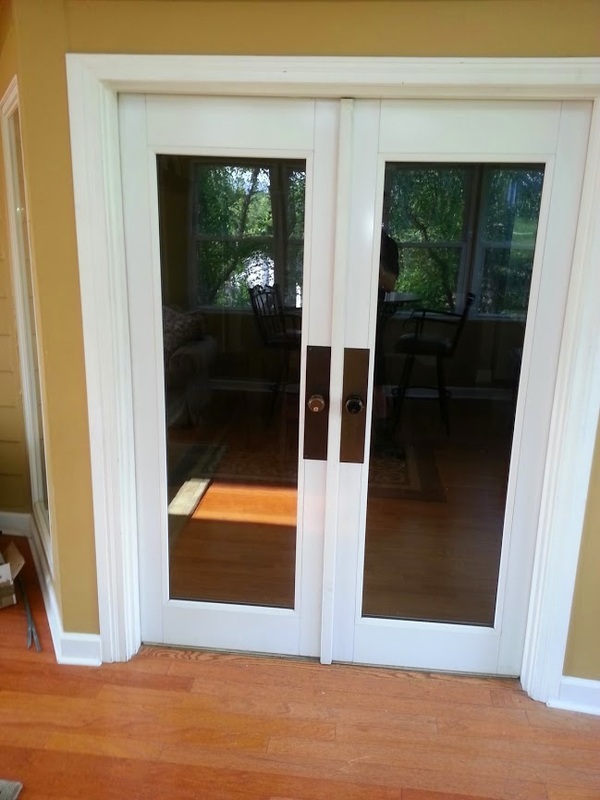 Many people have double pocket doors in their abodes. I have been receiving numerous inquiries for suggestions to easily secure these doors too. I suggest that using the Lockwood 7410 passage lock, which is the identical look of the keyed product without a key, installing it to the other side, in line with the keyed version. 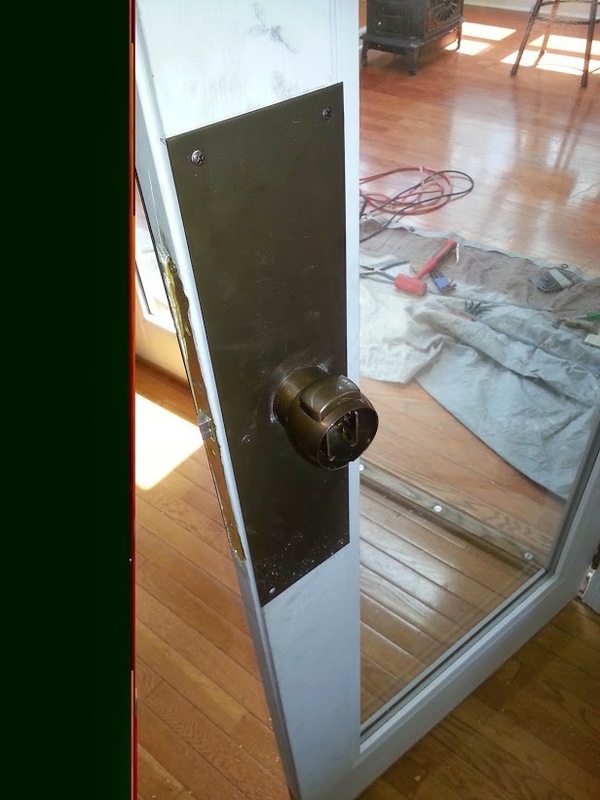 Instead of installing the plunger pull in the center of the lock, install the strike plate from the keyed version. This will allow you to have a uniformed look that is identical on both doors. 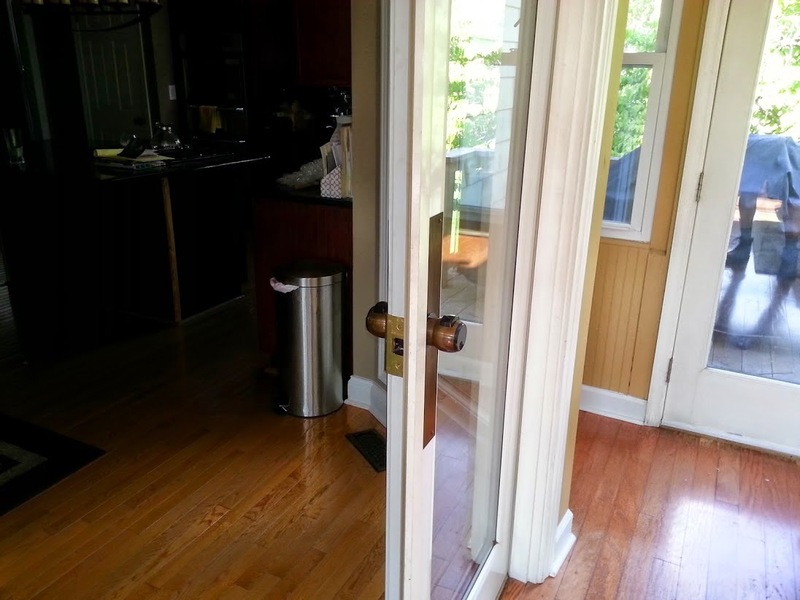 You could then install the plunger/pull in another location either above or below the lock and will allow you to still withdraw the door from the cavity easily. We have mentioned D&D Technologies quite often in this blog and continue to sing the praises of this fabulous Australian engineering company. The lock pictured above is another improvement on their already vast range of gate security products and hinges. D&D Technologies are manufacturers who are renowned for working with the locksmith industry to design, construct and tailor superior, intelligent lock systems aimed at improving our ways of life. Check out the video above and visit your local locksmith for more information. GOkey Indiegogo Campaign Video from Go Devices, Inc. on Vimeo. A new product has recently started funding on a crowdsourcing page that might be the extra boost many of us smartphone users are challenged with. Check out the video above and see why this is yet another idea that makes our lives a little bit easier. It does look a little bulky, I think. And given that many car keys on our keyrings are recommended to not carry extra weight (thanks GM), I'm not sure this really appeal to the masses. Master Key Systems America, LLC has been selected as a winner of the 2014 Best of HomeAdvisor award. You have been chosen because you exemplify quality work practices, premier service, and are a valued resource for home improvement excellence. Only the top pros in our network have been honored with the Best of HomeAdvisor award. We just received new inventory of the fabulous Lockwood 7444 keyed Pocket Door Lock. We have both colors available at this time. As we informed previously, the manufacturer was forced to increase their prices due to unfavorable exchange rates and the increase in manufacturing materials cost. We are forced to increase the cost of the item, as a consequence. The new price is $120.00 each. Standard ground shipping via UPS is $22.00 (3-5 days, lower 48). \We apologize for the delay and we expect this new inventory to sell out very quickly, so if you have been waiting to order, please get your order in quick to avoid delay. Thanks for your understanding. To purchase, click on the picture to the left. 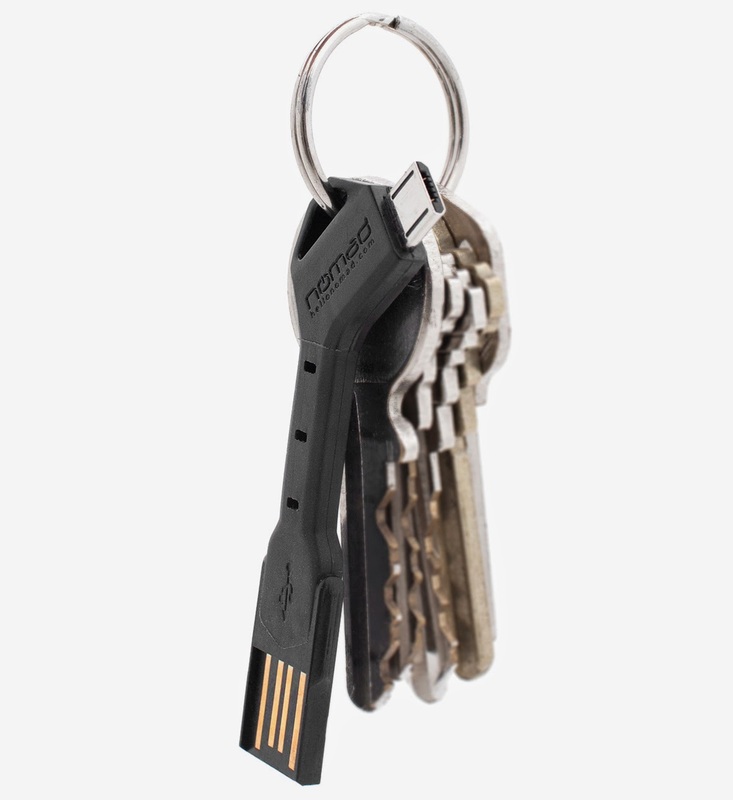 The Chargekey by Nomad, is a beautifully produced and high quality mobile device charger that has recently gone on sale in the USA and Europe. This intelligent creation provides that ever necessary accessory that we (who use smart devices) seek to have accessible at all times. I see it everyday. Many people out and about using their phones but forgetting to bring their spare charging cable with them. Dont worry, now you just connect it to your keyring (that is if you still carry a keyring?!?). But where do we plug it in? Why are there not more USB ports around the place? Actually there are some establishments that I know of in my area that offer USB ports connected to power allowing you to bring your own charging cable to recharge your smart device on the fly (more on that in another article). Forever Lock - Bicycle Security Product Evolution - Where's The Keyhole? 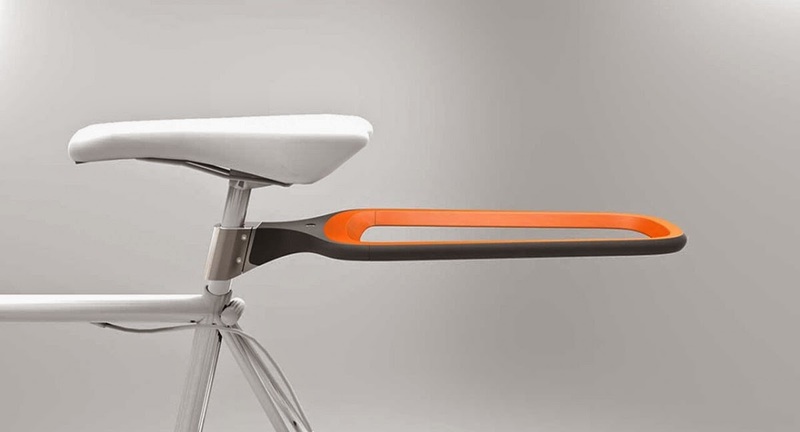 The video above shows a new product that may be the answer to bicycle protection, enthusiasts are seeking. 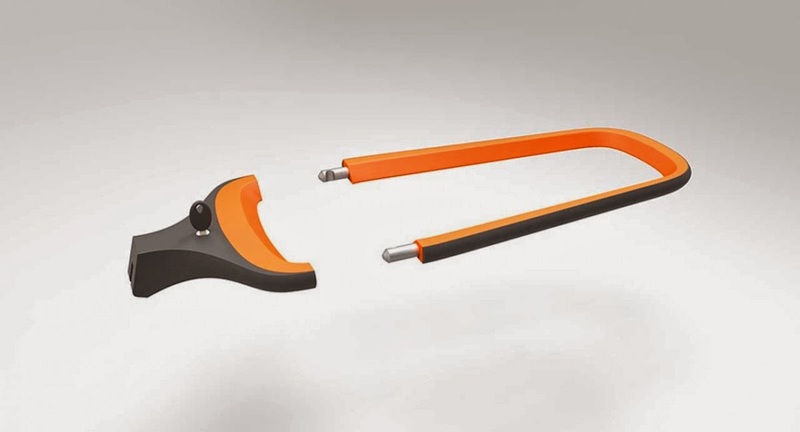 The Forever Lock is a uniquely designed bicycle D lock that has cleverly hidden the keyhole. Perhaps it is a little convoluted to operate the first time, but essentially the principle appears to be sound. You cannot find the keyhole without damaging the unit and the key is hidden when operating. Is there a more secure solution of it's kind? Our very popular Lockwood 7444 Keyed Pocket Door Lock is selling so fast we are barely able to keep up with demand. We received our last delivery from Australia on April 4th and sold out completely in 19 days. We have new inventory expected to arrive next week. We apologize for any inconvenience this may cause. We will have both Satin Pearl and Chrome Plate in new inventory. Demand is also increasing for the Lockwood 7400 Pocket Door Passage Set and also the Lockwood 7450 Pocket Door Privacy Set and we will be stocking these items soon too. (Non-Keyed product will be marginally cheaper, but they look identical to the pictures of the keyed product without a keyhole - of course).